When Active RVA teamed up with the Richmond City Health District to launch our Active RVA Warriors program, training new fitness leaders for the community, we knew we’d need a powerhouse coach at the helm. We found it in Ricky Martin. 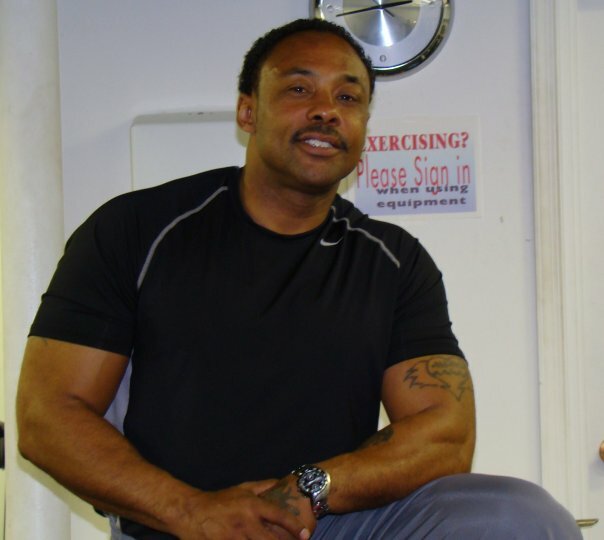 Ricky has decades of experience working as a coach, health educator, and fitness leader. As the lead trainer for our Warriors program he coordinates our mentors, leads intensive learning sessions with our Warriors, recruits community partners, and inspires new classes of fitness leaders to commit to giving back here in RVA. How’d you get your start? I got a membership at the Downtown YMCA and very quickly folks started asking me for advice. The Wellness Director at the time asked if I would be interested in learning fitness and getting certified. She loaned me some books and I began to study for the exams. I would eventually become a personal trainer and building supervisor for the Y, then later on move up to Wellness Director myself. What’s the connection for you between physical activity and public health? Why do we need more ‘active warriors’ in our community? For about 5 years I had a position as a Health Educator for the Fan Free Clinic and got exposed to working with under served populations in our community. I really developed a heart for the community then. I saw that I could really connect with people and help both youth and adults. I managed an “at risk youth” mentoring program in some local schools and became a HIV/Aids test counselor for the clinic. I quickly saw a need to help folks that could not afford to pay for preventative health care. And being active? Getting fit? That’s one of the best preventions I know. Were you always into sports and exercise? I played sports as a kid. Baseball, field hockey, basketball, running track, martial arts, boxing. But when the Bruce Lee movies came out in the 70′s I was smitten. I lived and breathed Bruce and everything he stood for. I had already been exposed to Shotokan karate and kung fu by local Sensei’s like Ron Van Clief, and TomLa Puppet (they are pretty famous still, google them) so it was only natural to flow into Bruce Lee’s style of Jeet Kune Do and begin learning how to really connect with my body. Tell us about your business, Fit To Go. I started Fit To Go basically because I knew there was a need and I knew I had the skills to help. The number of clients and lives I have touched is easily in the thousands. I have had the opportunity to speak at churches, on panels with public figures and even do presentations on various health topics for the American Heart Association and American Cancer Society before conference rooms holding hundreds for people. The core of it for me is all about motivating and supporting each new person to take a new step in their fitness. It all starts there. So, where else have you worked around Richmond? In addition to the Y and Fan Free, I took part time jobs as a trainer for VCU Rec Sports and the Siegel Center when they first opened. I also worked for American Family Fitness, and Golds Gym. I have done grant reviewing for the Department of Education and the CDC. I followed my man Bruce Lee in knowing “what you habitually think, largely determines what you will ultimately become”. I think about serving the community and I’ve often found new opportunities to do so. Leading the Active RVA Warriors is another example of that. It’s a big project for Richmond and I’m proud to be a part of it.